Emotional eating describes those times we turn to food for comfort, eat to relieve stress, or use food as a way to beat boredom. Phentermine can help to keep these cravings in check, but despite our best intentions, this way of using food as a solution or response to our emotions can be one of the most difficult habits to overcome. Here we explain how to identify and control emotional eating, and how stop it from controlling you. If you’ve ever reached for the ice cream after a bad day or polished off a family bag of chips because you were bored then you’ve experienced emotional eating. Of course, you’re not alone; many of us use food to make ourselves feel better, as a way to fill our emotional needs rather than our stomachs. Using food as an occasional mood-booster, to celebrate or to reward ourselves isn’t necessarily a bad thing. After all, we’re emotional animals, so food can’t be reduced to simply fuel for us in the same way that gas powers a car. However, if eating is your primary emotional coping mechanism for life’s many ups and downs, then you could get stuck in an unhealthy cycle of emotional eating. Since you’re unlikely to reach for salad when you’re upset, not only does emotional eating lead to weight gain, the real feeling or problem is brushed away with food and never really addressed. Although emotional eating may feel good in the moment, the feelings that triggered your response to eat are still there. You might now also feel added guilt, disappointment or even anger at yourself for not having more willpower. But, crucially, you are also ignoring the problem which caused the emotional eating. This then means that you fail to learn healthier ways to deal with your emotions and you feel increasingly powerless when it comes to food and your emotions. Emotional hunger feels more sudden: it feels overwhelming and in need of urgent satisfaction. By comparison, physical hunger comes on more gradually and doesn’t demand instant attention, unless you haven’t eaten for a very long time. Emotional hunger craves comfort foods: your emotions lead you to reach for specific comfort foods, often sugary and fatty foods for an instant rush. When you’re physically hungry all foods sound great, even a plate full of veggies. Emotional hunger is a compulsion: it’s difficult to stop once you reach for the pint of ice cream, and before you know it you’ve eaten it all without realizing. Physical hunger isn’t typically as mindless, because you’re eating with a goal to satisfy that hunger rather than eating as a reaction to an emotion or problem you don’t want to face. Emotional hunger isn’t located in the stomach: instead of an empty feeling in your stomach, emotional hunger is something that occupies your thoughts as you focus on searching for a specific smell, taste or texture. Emotional hunger often has to be justified: rather than simply a case of satisfying the normal physical reaction of hunger, emotional hunger causes us to reason with why it has to be this food, and why we deserve or ‘need’ it right now. Emotional hunger often results in feelings of guilt and regret: because of the compulsive nature and unhealthy foods that emotional hunger craves, it often leads to feelings of regret as you know you’re not eating for the right reasons. 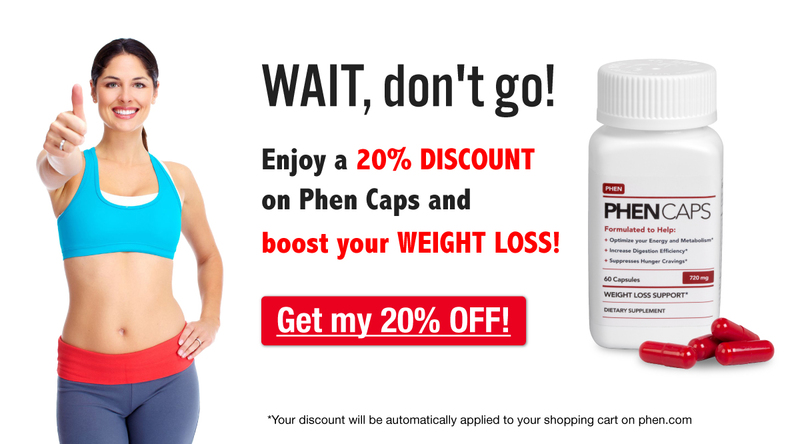 Phentermine helps to take your mind off food, silencing cravings and helping to control appetite. However, emotional hunger is more difficult to silence. Phentermine helps to suppress physical hunger so that you can eat less and get used to smaller amounts of food, but learning how to nourish your body with nutritious food is an ongoing process. Learning how to confront problems and avoid responding with emotional eating is also an ongoing process, but one that cannot be learnt with logical nutritional information. Dieting often fails to take into account the emotional hold that food can have on many off us. The habit of trying to solve problems with food is something that also needs to be recognized and changed, or phentermine may only provide you with a temporary fix to your weight problem. The following advice explains how you can help to phase out emotional eating while taking phentermine and then learn new ways to face up to the inevitable problems you may face in the future. Emotional eating is often very automatic and mindless, leaving people feeling like they have no control. When emotional hunger strikes, give yourself five minutes to consider whether your hunger is physical or emotional. If it shows signs of being emotional, question what could be driving this need. The type of food you’re craving can often help to identify the source of the emotion. Linda Spangle, author of 100 Days of Weight Loss explains that if you’re craving something crunchy or chewy then there’s a good chance you’re angry, anxious or stressed, and suggests that you try asking yourself, ‘What do I want to chew on in life right now?’. However, a yearning for something smooth or creamy points to an empty emotion, such as loneliness or sadness. Achieving the strength to press pause on your emotional hunger can often help us to feel more in control than we thought, so, taking the time to reflect can give you an opportunity to make a different decision. Even if you do end up giving in to emotional hunger, this new insight might help you to have a different reaction in the future. You may not always be able to pinpoint how you feel or why, or you may consistently reach for something sugary due to the same problem over and over again. Either way, there are many ways to help soothe or resolve this emotion, and none of them involve food. If you’re stressed, angry or anxious, remove yourself from the situation to a calming place, whether that’s an empty room or out in the fresh air. Take deep breaths and help to get the nervous energy out of your system by going for a walk to clear your head and calm yourself down. In the longer term, these tips to manage stress can help to reduce your stress levels and help you cope better when you feel overwhelmed. If you’re depressed or lonely, reach out for someone to make you feel less alone. Call a friend or family member, play with your pet or with your children. You could also indulge yourself in other ways, such as by watching a bad movie and painting your toenails – things you wouldn’t be able to do if you weren’t alone. If you’re bored, find ways to entertain yourself and keep yourself occupied. Find an enjoyable way to spend your time that will keep you busy and engaged, whether that’s a good book, a computer game, your favorite TV show, playing the guitar, or going for a walk with your camera. To stave off future boredom, make regular plans to have something to look forward to, and do the research about where you’ll go or make a playlist of music for the journey to keep yourself occupied. Eating your emotions is doubly counterproductive when you’re trying to lose weight as not only do you fail to address the problem, you add to it with negative feelings of regret after giving in to your cravings. However, using your emotions to fuel activity can help to get these negative feelings out of your system, and is also a healthier way to express your feelings. So, once you find you are able to put your emotional hunger on hold instead of giving in straight away, try to use that time to do something physically active. If possible, make it an activity to get you sweating and make your heart beat faster as that will help to release feel-good hormones, perfect for taking your mind off food. As well as being the best way to tone up and boost phentermine weight loss, exercise has many other benefits. Exercise is a great stress-reliever, has been found to work better than anti-depressants at reducing depression, and is also an excellent way to keep busy if you’re bored. Exercise can also help to boost your self-esteem and confidence, meaning that you’ll find greater emotional strength to deal with problems while you also gain physical strength. What’s more, keeping yourself physically busy is also a great way to avoid mindless eating, which often happens when our brains are occupied but our bodies are listless. Although it may seem that you’re powerless when it comes to food, emotional eating really comes from feeling powerless when it comes to your emotions. You feel incapable of facing your feelings so you turn to food as a way of avoiding the emotions you think that you can’t control. Listen to what your emotions are trying to tell you rather than trying to quieten them down with food. Even deeply troubling emotions or difficult problems lose their ability to control us if we try to face them and stop suppressing them. Accepting these emotions for what they are and exposing yourself to really feeling and experiencing them, whether that means crying, pain, or remembering things you’ve tried to forget, can help you take the steps you need to learn how to manage these emotions without food. Obviously, illnesses such as clinical depression or an anxiety disorder aren’t problems you can deal with alone. But, learning to accept that there are deeper issues related to emotional eating could encourage you to get the help you need. Are you an emotional eater? Let us know if you have any comments or questions by commenting below.